Before you light your sage, and begin the process of smudging it's best to start with a prayer and set your intention to cleanse the space and release any and all negativity into the light. 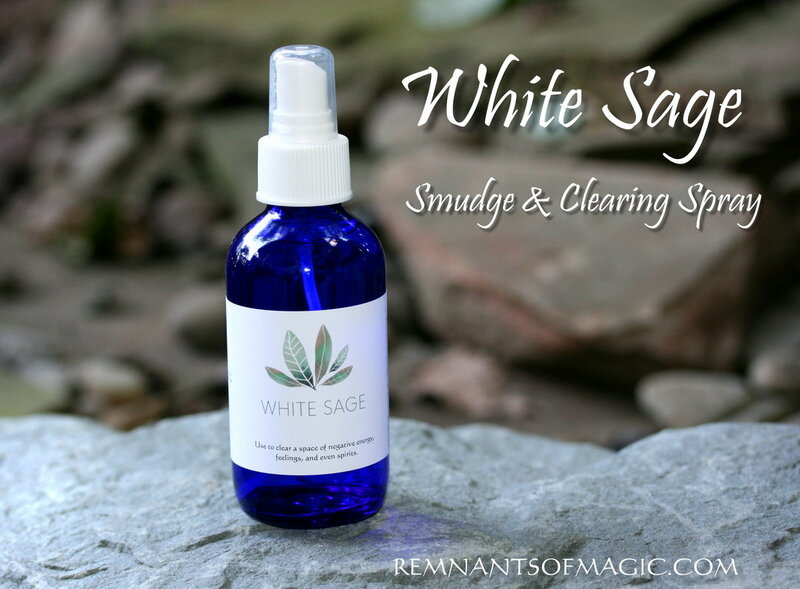 Smudging is a ritual to cleanse or clear a person, a place or an object of negative energies, spirits or influences. 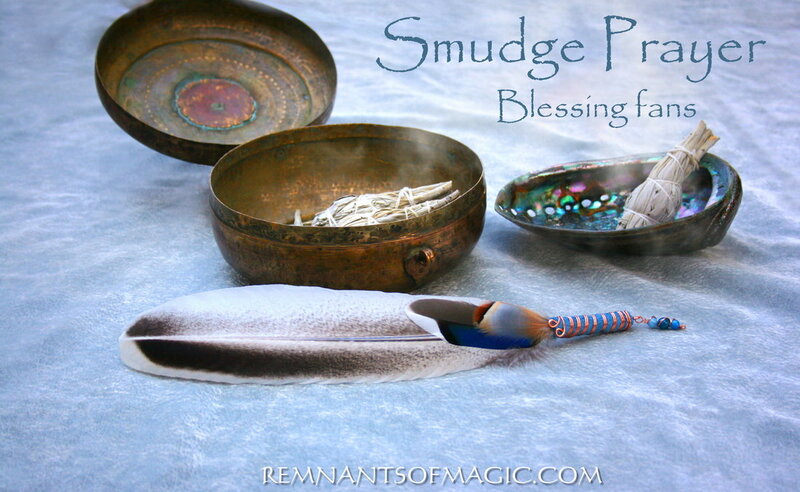 ...Smudging is not strictly for use in cleansing and purifying, it can be used to draw in positive energies and as a means of creating smoke to carry our prayers up to the Great Spirit. ​These Beautifully handcrafted smudge fans are all one of a kind. 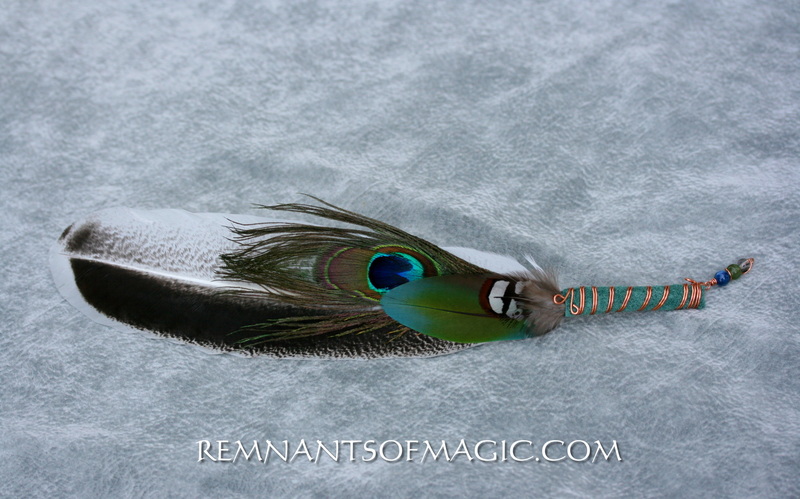 Wrapped in sued and Copper wire creating a comfortable handle with a beaded wire wrapped tassel. 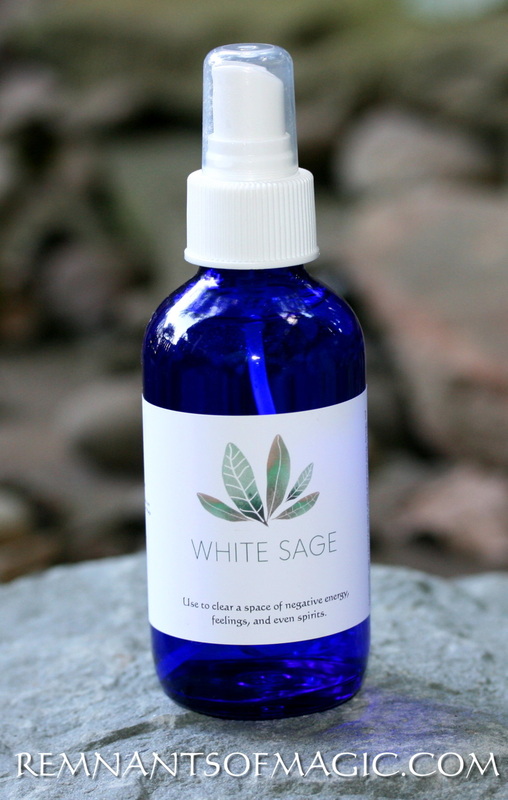 Each one is made with love and charged with Reiki energy. Use during smudging to fan smoke, while blessing your home or space. 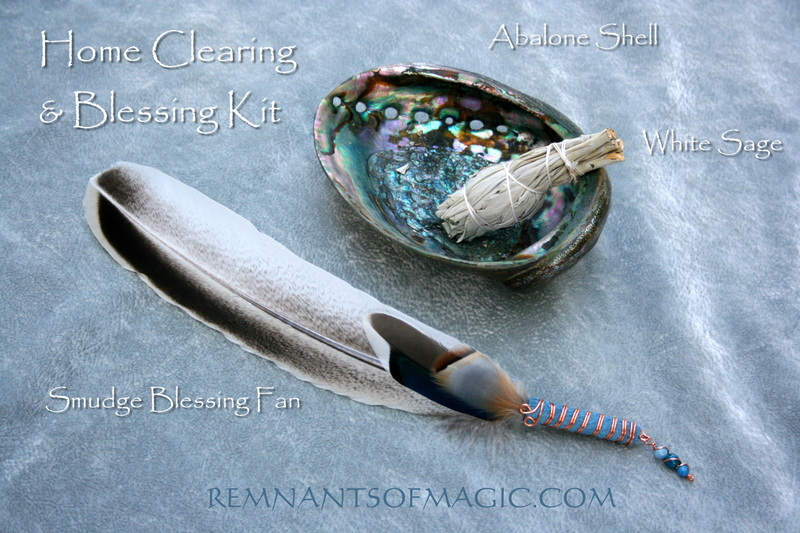 Kit includes handcrafted smudge fan, Abalone shell, and California white sage stick with a written blessing to repeat to cleanse and purify your space and home. 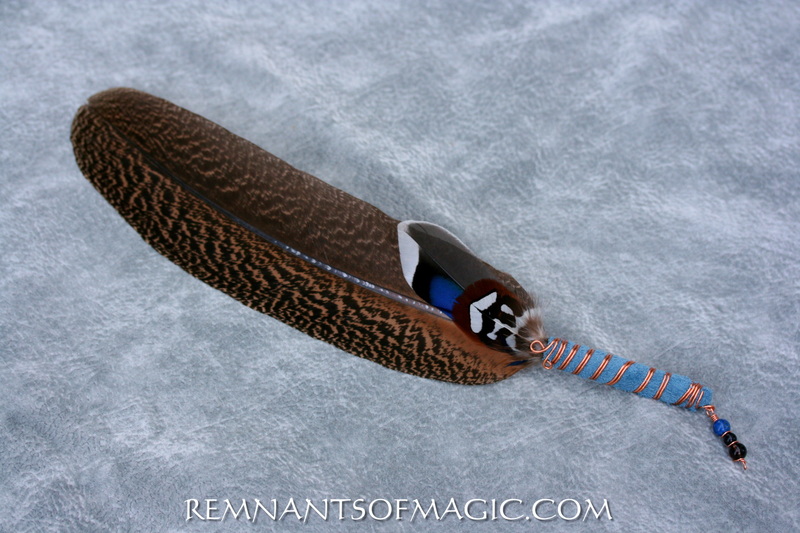 Smudge feathers include mallard duck, Pheasant and turkey. 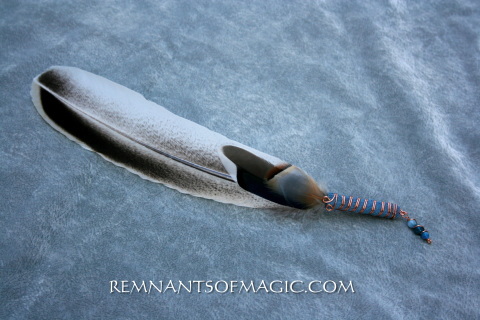 Hand crafted in suede leather with copper wire and stone tassel of Aquamarine, Apatite and Kyanite. 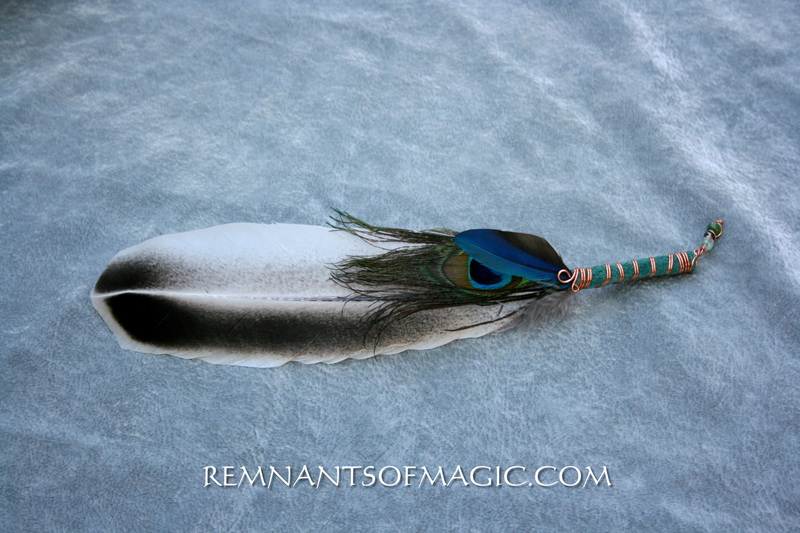 Smudge feathers are Turkey , Macaw and Pheasant Handcrafted with purple suede and copper wire with Amethyst and charoite stone tassel. Smudge feathers are Turkey, Peacock and Macaw. Handcrafted in greed suede and copper wire with a stone tassel of Aventurine, Hematite and Quartz. 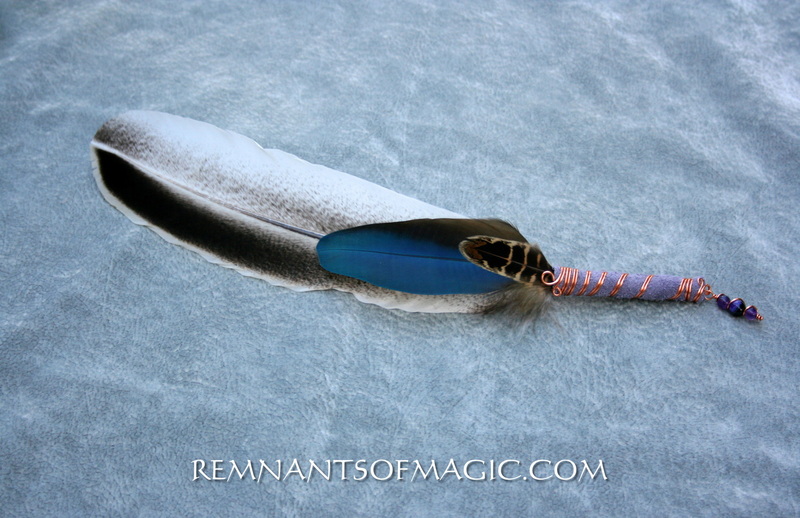 Smudge fan with Turkey, Mallard duck and pheasant feathers with blue sued leather and handwrapped in copper wire with a Bead tassel of Lapis, Black tourmaline and smoky quartz. Don't forget to pick up some of our three Smudge sprays in the Energy spray section of the website or down below. 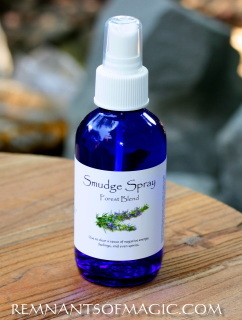 Works great with smudge fans. 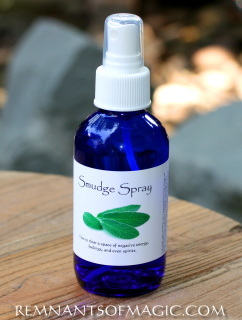 Smudge Spray provides all the benefits of sage smudging or space clearing without the smoke.